Real Madrid's worrisome poor streak extended into their third consecutive game as the mighty defending champions were silenced and humiliated by minnows, CSKA Moscow, who beat them 1-0 in the second Matchday of the UEFA Champions League group stage fixtures. A weakened Madrid side took the field bereft of the services of Gareth Bale, Marcelo, Sergio Ramos and Isco, owing to injuries. Starting off terribly, sub-standard play and a ridiculous giveaway saw Madrid gift Moscow an early advantage as Nikola Vlasic capitalised to give the hosts the lead as early as the 2nd minute. The home side put in a spirited performance thereafter to keep the lead for the entirety of the game, thoroughly frustrating Real Madrid and their fans, giving them their 3rd consecutive goal-less result. 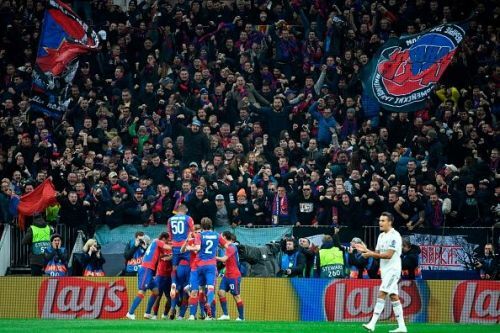 CSKA Moscow 1-0 Real Madrid. #RealMadrid - Nothing going our way! Frustrating results over last few matches. The new Real Madrid manager, Julen Lopetegui, was also widely targeted and berated. Lets all take this moment to laugh at #RealMadrid n #ManchesterUnited absolutely crap!! No, we don't need new number 9. We need another goalkeeper.